If you have a panelized garage door with some windows in it, there’s a possibility of having a window break at some point. Fortunately these windows are easy to repair and if you’re just a little bit handy, you can do this yourself. 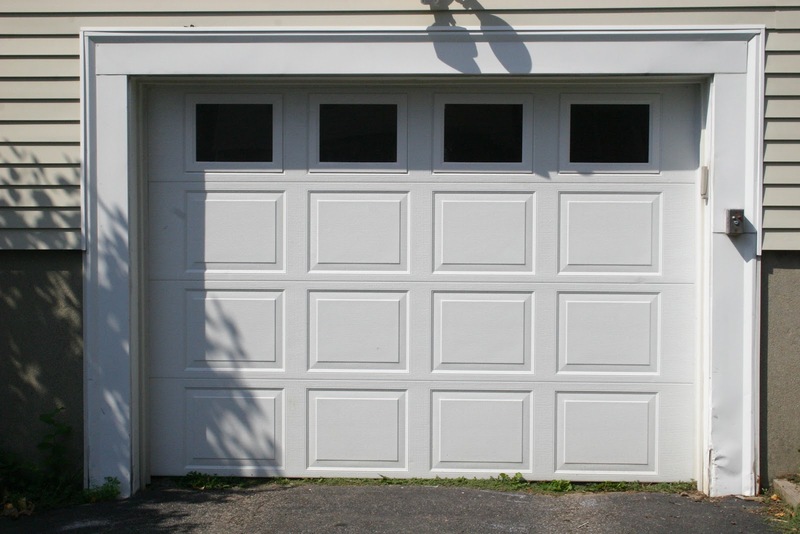 Just carry out the following simple steps for repairing two types of garage door window. Some garage door windows consist of glass or Plexiglas encased in a frame. Here are the steps for repairing this type of window. 1) Undo and take out the screws from the outer side of the frame. 2) Have someone push the window towards you from the other side of the door so you can remove it. 3) Place the replacement window and frame on a sheet of plywood or some wood strips on the ground with the outside(the wider side) of the frame face up. 4) There will be a template provided with the new window. Place this template on the frame of the new window and line-up the guide marks with the window frame edges. 5) Fasten the template to the replacement window with some lengths of masking tape. 6) Using the drill and 1/8-inch bit, drill holes through the frame using the template as a guide. 7) Fit the window into the opening with the wide side facing outward and the edges with rubber seals facing inward. 8) Fasten the frame to the garage door with screws through the holes you drilled. The second type of window is made up of glass or Plexiglas inserts which fit into the framework of the garage door. The following steps explain how to replace this type of window in your garage door. 1) You will see some small tabs holding the insert in place in the frame. Alternatively the insert may be held in place with wood stops. If the window has tabs, carefully straighten them with your putty knife. If the window has wood stops, pry them gently away from the window opening using the tip of the wood chisel. 2) Wearing your gloves, cut away the caulking bead at the edges of the window opening with a sharp utility knife. 3) Remove the Plexiglas or glass from the window opening. 4) Use the end of your wood chisel to scrape off any caulking which remains at the window opening. 5) Run a regular bead of fresh caulking along each edge of the window opening. 6) Gently push the new Plexiglas or glass panel into the window opening. 7) Use your fingers to bend the tabs back against the front of the panel. If wood stops are used in place of tabs, run another bead of all-weather caulking around the external edges of the window opening and refit the wood stops. That’s all there is to it. Of course if you really don’t fancy doing this task yourself, a local garage door installation and repair expert will be able to replace the glass for you. This entry was posted in Blog and tagged garage door, garage door windows. Bookmark the permalink.